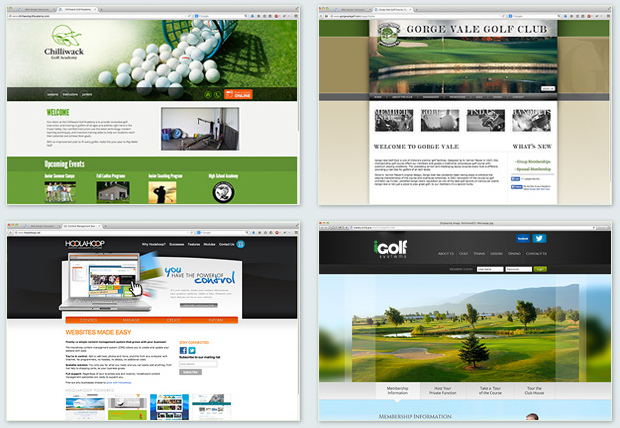 The iGolf Internet based tee time booking, website content administration, event and maintenance communications and marketing services allow your golf course to empower your members of public players. Take advantage of our proven golf course management software. A fully responsive Internet based tee sheet booking system that users can access via smart phone, tablet or desktop computer. Complete support for private, semi-private, public and resort courses. The iGolf tee sheet is an easy to use point and click system that allows golfers to book tee times in as little as 20 seconds. Different clubs have different needs. We will work with you to identify your needs and develop the perfect website for your public, semi-private, private or resort course. Our custom designs capture the unique personality of each club and its location. In addition to creating the look and feel of the website we offer many custom options for content management and communications. iGolf is proud to be a member of NGCOA Canada. The NGCOA Canada is a not-for-profit trade association, owned and governed by its membership, providing business support to Canadian golf course operators and related stakeholders, presenting one united voice within the golf course industry.